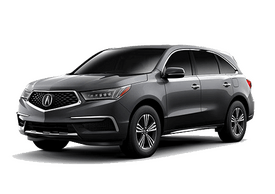 When you’re looking for an Acura luxury car or SUV, do what your friends and neighbors in the Valencia area are doing and head up to Acura Bakersfield. You’ll get a great selection of Acura vehicles at competitive prices. More importantly, you’ll be treated to the area’s best customer service. Everyone at our Valencia Acura dealer works diligently to make sure you have a great experience when you visit our dealership. Some people visit us knowing the exact model and trim level they want, while others need a little help. If you need assistance selecting the Acura that’s right for you and your family, we’re here to help. We’re the Acura dealer for Valencia, with the experience it takes to make sure you get the Acura you’ll love. 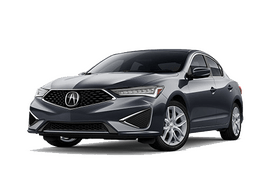 Whether you’ve been thinking of buying the Acura ILX, MDX, TLX, RLX, or another model, our sales team is ready to help you get the perfect Acura. At Acura Bakersfield, we believe it’s important to create lasting relationships with our customers. We understand that satisfied customers tell their friends about us. That’s the best form of advertising. Visit Acura Bakersfield and explore the quality that sets Acura apart from other luxury cars. Our sales team members are happy to show you every model you’re interested in. They’ll take the time to sit down with you and answer all your questions. Don’t forget, you can always check out our outstanding selection on our website. If you’ve been considering buying a used Acura, we have a large inventory of used and certified pre-owned models. Of course, our entire pre-owned inventory has been meticulously inspected and brought to the highest level of performance to ensure every used model we sell meets our rigorous quality control standards. Visit our dealership in Bakersfield today and explore our used inventory or look at our selection on our website. We have a great assortment of used and certified pre-owned Acuras, as well as vehicles by other manufacturers. Don’t forget to check out our pre-owned specials. When it comes time to finance your purchase, we’re here to help. Our experienced finance team can help you get the best auto loan. 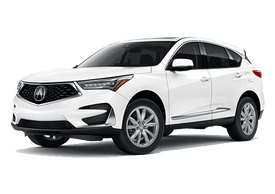 You’ll enjoy the convenience of getting the area’s best financing in the same place you’re buying your new Acura vehicle. We make everything easy. Visit the Finance page on our website and fill out our finance application online. It will reduce the amount of paperwork you’ll need to fill out at our dealership and speed the process. You can even get an appraisal on a trade-in. When you need service, we’re here for you. Our service technicians are experts on every Acura vehicle. They can handle all your service needs, whether it’s time for scheduled maintenance or you need a repair. We work quickly to get you back on the road and we use genuine Acura parts to ensure the integrity of every repair job. 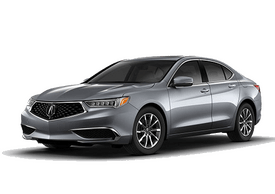 Visit Acura Bakersfield for all your needs. We’re located right off the 99. Our sales department is open seven days a week to help you. Call us today at 888-854-5031.